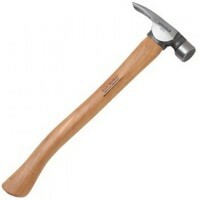 Estwing E3/25SM Straight Claw Framing Hammer with Long Handle 25oz Features Weight 25oz /..
Estwing EMRW25LM Surestrike Straight Claw Framing Hammer Features Estwing's 25 oz Sure St.. Weight 16oz - 453g. 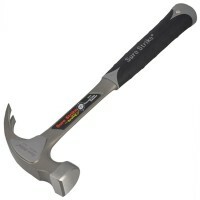 Length 12.5in - 318mm. Smooth face. Full polished. 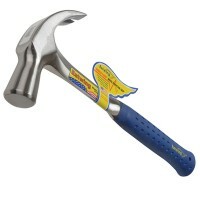 ..
Estwing E3/28S Straight Claw Framing Hammer Features Estwing's Straight Claw Solid Steel .. Weight 16oz - 453g. 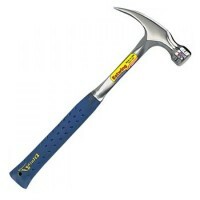 Length 13in - 330mm. Solid forged claw hammer. .. Weight 16oz - 453g. 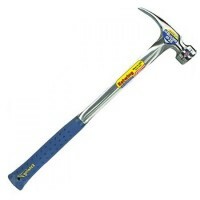 Length 13in - 330mm. 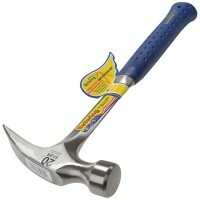 Straight claw steel nail hammer. 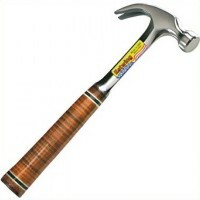 H..
Estwing E3/24S Straight Claw Framing Hammer Features Estwing's Straight Claw Solid Steel .. Weight 24oz - 672g. 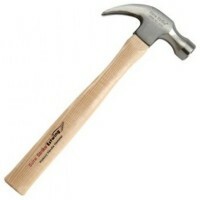 Length 13 1/2in - 343mm. Full polished. Curv.. Weight 16oz - 453g. Length 12 1/2in - 318mm. Full polished. 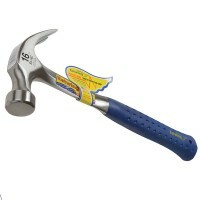 Curv..
Estwing EMR20C Surestrike Curved Claw Framing Hammer Features Estwing's Sure Strike all s..
Silverline Claw Hammer Fibre Shaft Features Shock absorbing fibreglass shaft with nylon s..
Estwing E3/28C Curved Claw English Pattern Hammer 24oz Features Estwing's Solid Steel Cur.. Weight 20oz - 567g. 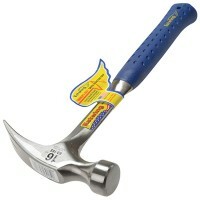 Length 13 1/2in - 343mm. 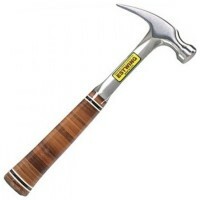 Straight claw steel nail ha..
Estwing EMRW7C Surestrike Curved Claw Nail Hammer Features Estwing's Sure Strike® Wood Ha..
Silverline HA11 Claw Hammer Fibre Shaft Features Shock absorbing fibreglass shaft with ny..